The second phase of an exhibit to give children — and adults — the chance to get hands-on experience launching rockets has officially landed at the Santa Maria Valley Discovery Museum. 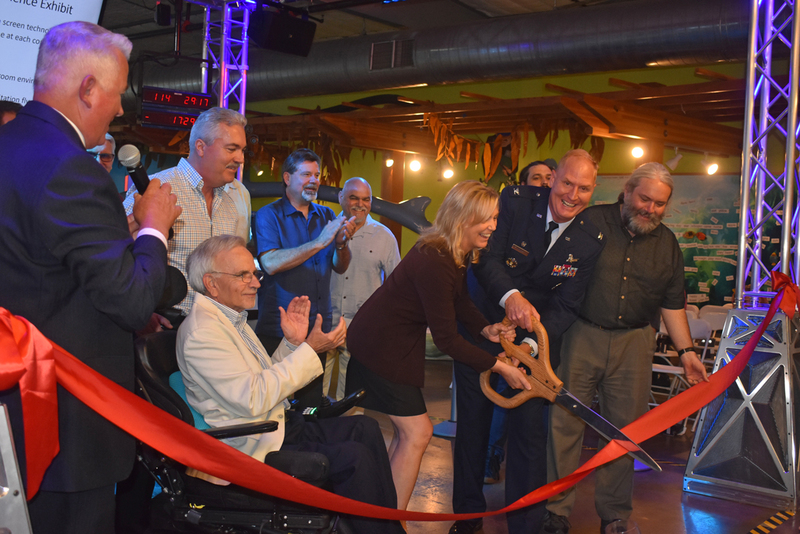 A reception and ribbon-cutting ceremony Monday celebrated the Vandenberg Launch Experience’s completion thanks to donations of time, talent, equipment and funding. “The best kind of education is where kids don’t realize they’re learning at all, they just do it through hands-on experience,” said Kevin James, a member of the Discovery Museum’s advisory committee and an engineer at defense contractor ManTech. 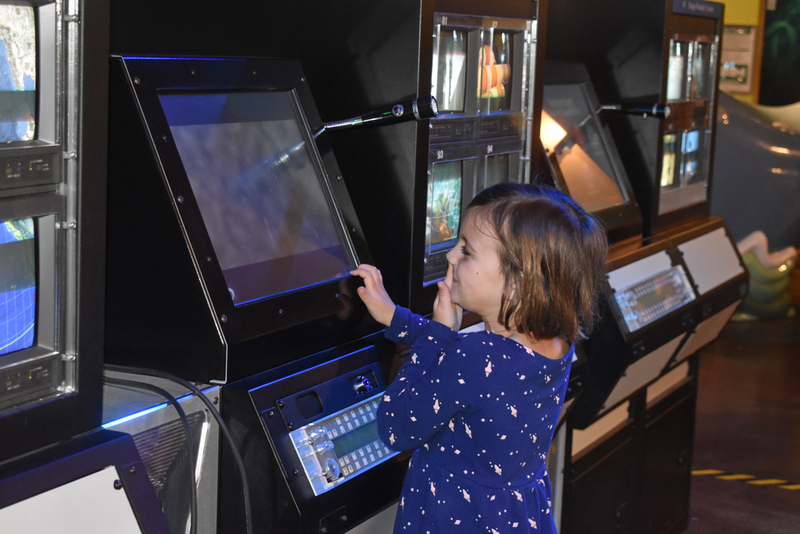 With touchscreen and classic consoles, the exhibit shows the roles of launch weather officer, range safety officer and launch conductor, some of the critical jobs for getting a rocket off the ground. Eventually, the exhibit will be tweaked so all three consoles can communicate and work together to simulate teamwork required for a rocket launch. The exhibit includes lights and sounds to add to the experience. 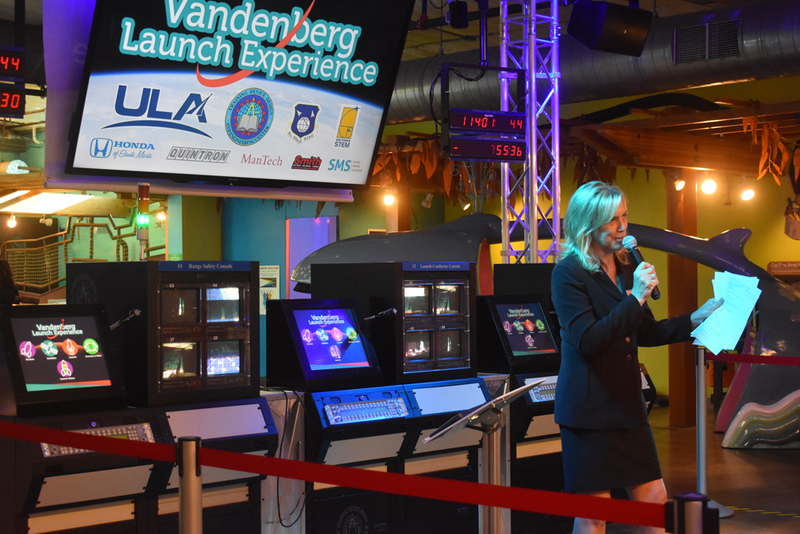 Making the Vandenberg Launch Experience involved using $65,000 worth of no-longer-needed equipment donated from United Launch Alliance Delta IV facility. About $25,000 in funding also came from ULA, Honda of Santa Maria and ManTech. 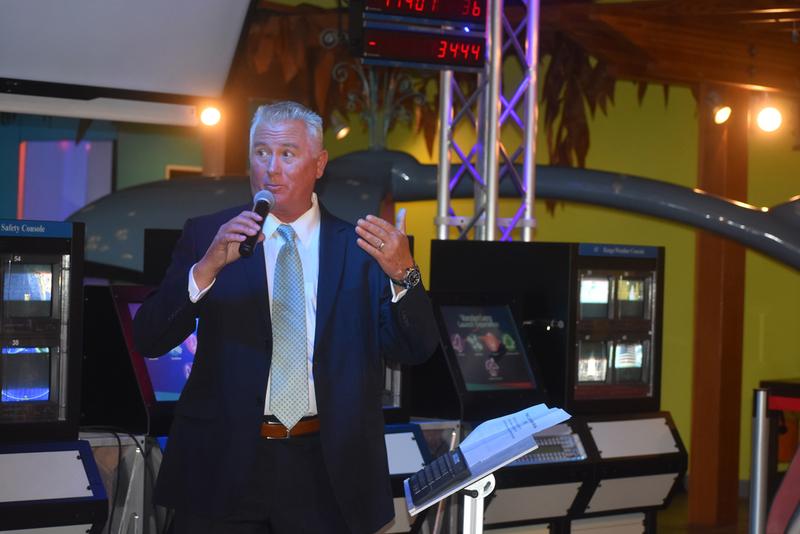 Discovery Museum Executive Director Chris Slaughter said the exhibit has involved a collaboration that first produced the miniature space shuttle for youths. That addition was unveiled in May 2017. “What we have is a pretty amazing thing in our community,” she said. The effort included the museum’s advisory committee, Vandenberg Air Force Base’s 30th Space Wing, Vandenberg’s Training Device Design and Engineering Center, ULA, ManTech, and more. “Everyone has worked to the very last second to make this a spectacular night,” Slaughter said. 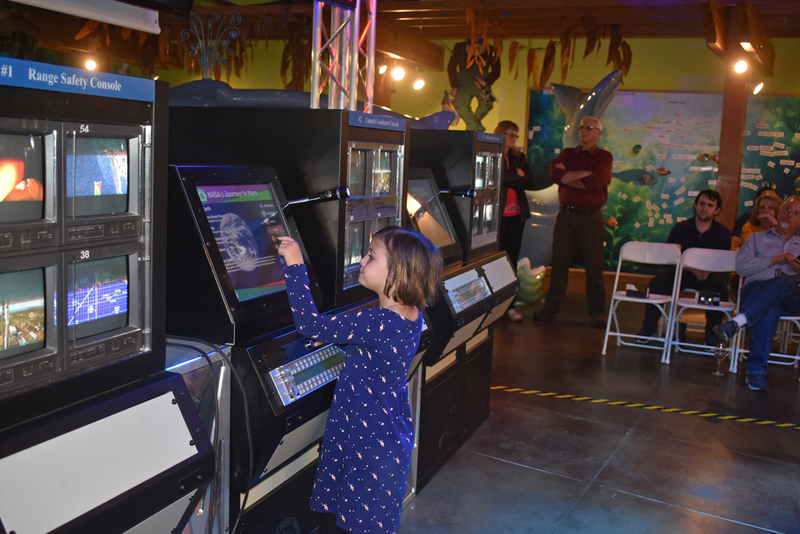 The Discovery Museum, at 705 S. McCllelland St., marked its 22nd year and hosted 32,000 visitors in 2017, a number staff expects to climb in 2018 as the facility hosts several events related to the upcoming Mars InSight launch at Vandenberg Air Force Base. A Discovery Museum board member, Bill Thompson, first raised the idea for having a Vandenberg-themed exhibit. “This is a good start to raising the imagination,” he said, adding he felt it was important to build a bridge between Vandenberg and the community. Tom Stevens, technical director for the 30th Launch Group and STEM coordinator at Vandenberg, said the military has put $30,000 toward the exhibit in 2016 and 2017 and expects to provide more funding in 2018. The Vandenberg Launch Experience fits the Air Force goal “to innovate for the future,” he said. He also secured a $200,000 National Defense Education Program grant to expand the Vandenberg Launch Experience, suggesting funding could be used to add a celestial ceiling with space effects, a facade for the front of the exhibit or more kiosks to reflect other missions at Vandenberg. 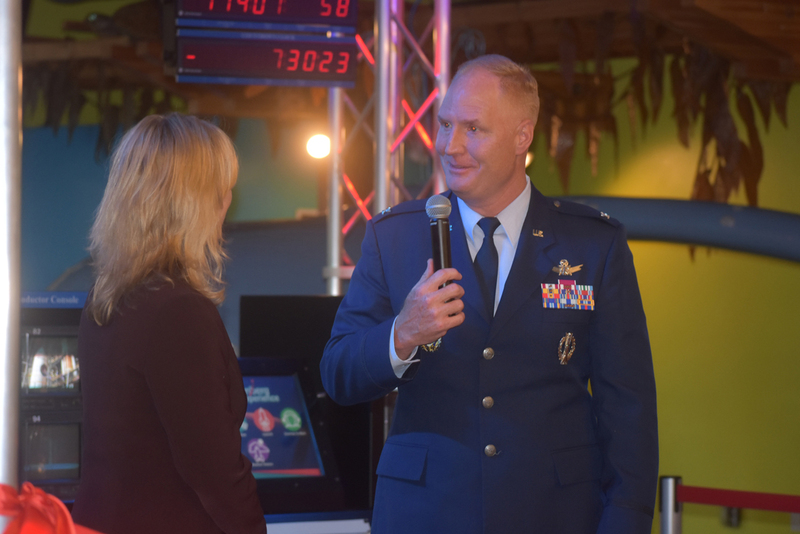 Col. Michael Hough, 30th Space Wing commander, said the Vandenberg Launch Experience could plant a seed for children to consider aerospace careers. By Janene Scully, Noozhawk North County Editor | @JaneneScully | April 24, 2018 | 6:16 p.m.